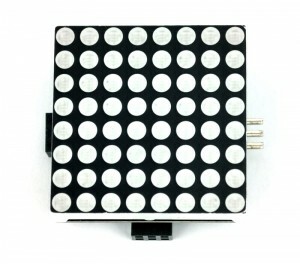 After many hours (months actually) of work in the design and development of supporting material and sample code, we’re pleased to announce that the 8×8 RGB LED Matrix Display Module is now available online. For more information and downloads, please visit this product page. You can order this product from Parallax as stock code #32324 here.